Music has always held a key for social change. 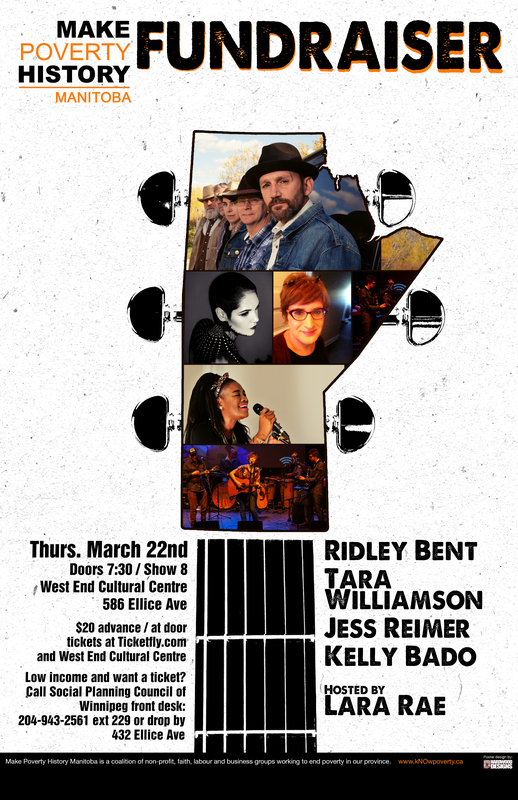 Make Poverty History Manitoba (MPHM) is planning to unlock that potential with its second annual fundraising concert, Thursday, March 22 at the West End Cultural Centre. The concert will featuring prominent local artists including award winning songwriter, Ridley Bent. The purpose of the event will be both to raise awareness about poverty and to raise funds to support their efforts to end poverty. 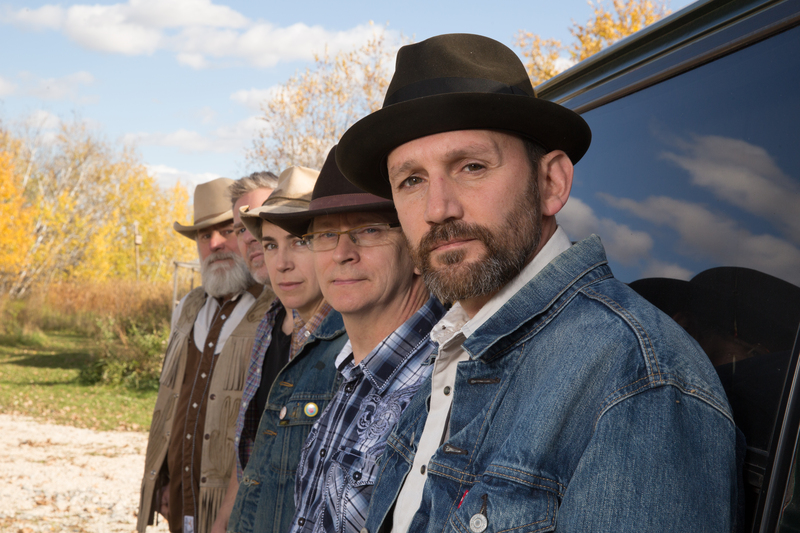 Headliner, Ridley Bent is a six-time Canadian Country Music Association nominee. In 2009, his song, “Nine Inch Nails” won Best Song at the Independent Music Awards. Other artists performing include Jess Reimer, Tara Williamson, and Kelly Bado. Winnipeg comedian and CBC Radio performer, Lara Rae, will host the evening. Tickets for the event are $20 and available at https://www.ticketfly.com/purchase/event/1642380/ or may be purchased at the Social Planning Council of Winnipeg (432 Ellice Avenue). The event starts at 8 pm, with doors open at 7:15. Make Poverty History Manitoba is a coalition of groups and individual working to end poverty in Manitoba. Thank you so much to the sponsors for this year’s event!